Recently, I had the opportunity to attend a two day course on Filipino culture. The course was offered through the Institute for Studies in Asian Church and Culture (ISACC) and was two days well spent. What made the two days even more enjoyable was having the opportunity to spend time with our colleagues, Emo & Kathy Yango as they participated in facilitating the course. One of the most significant lessons I learnt over the two days was th e Filipino core value of Kapwa. Kapwa could be translated as ‘other’, but it is much more than this and is best described as ‘fellow human beings’, which better expresses the Filipinos shared sense of identity. Consider eggs when fried together in a pan…individual yokes, but connected by the egg whites. Filipinos are a group centered people and not individualistic. We see evidence of this core belief all around us and have been challenged as a family to become less individualistic (even as a family unit) and focus more on others. Another cultural lesson we have learned is described by the word Sakop. Sakop is translated as ‘accountability’ or ‘responsibility’, but again, it is much more than this. Sakop explains why many Filipinos work hard to earn and save money, but then sacrifice greatly by sending that same hard earned money to their extended family in the province rather than keeping it for their own needs or wants. This is their sakop, their responsibility. We were challenged during the two days to consider the role of sakop in our own lives as followers of Jesus. We need to pray that as followers of Jesus we will have a greater and growing sense of sakop for the lives and needs of others. There is one final aspect of the Filipino culture that we want to share with you. This is the dimension of Loob & Labas that is deeply ingrained in the culture. Loob is translated as ‘Inside’ and Labas is translated as ‘Outside’. Although the words can be used for just that purpose, to describe something or someone as being inside or outside culturally there is much more to these two words. As we mentioned earlier, Filipinos place great value on relationships and family. In the context of relationships, loob and Labas are used to describe someone who is considered an ‘insider’ (loob) or whether someone is considered an ‘outsider’ (labas). 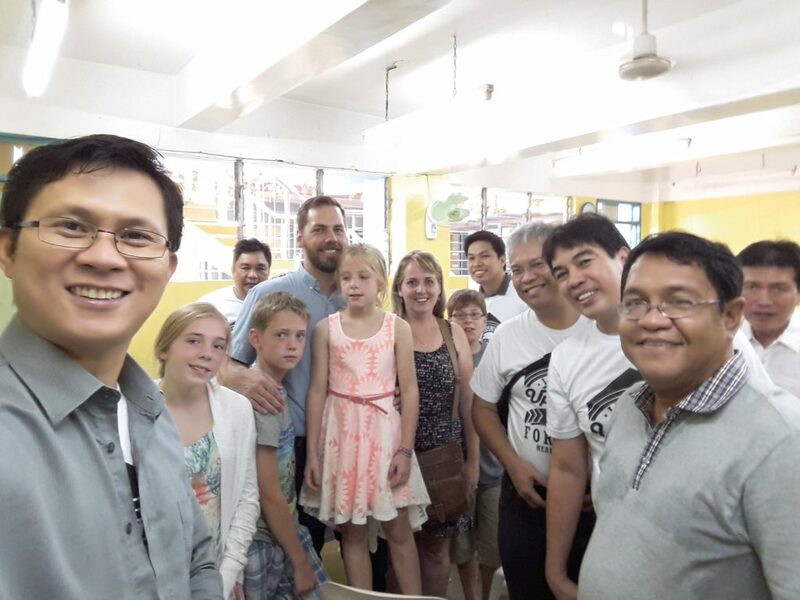 Obviously as Canadians, we come to the Philippines as ‘outsiders’, but I was encouraged and reminded during this course that it is possible for foreigners to be accepted as insiders once relationships have been formed and strengthened. Please pray that as we form relationships with new friends and ministry partners that we would find ourselves on the Loob (inside).